Image Courtesy 20th Century Fox. Once Upon a Deadpool starring Ryan Reynolds brings a new twist to the popular movie Deadpool 2 and it’s one that the whole family can enjoy! Watch Deadpool join forces with Domino (Zazie Beet), Cable (Josh Brolin) and the rest of the X-Force to prove that family is not an F-word. Once Upon a Deadpool features more than 20 minutes of new footage and plenty of surprises. Adding to the joy that Once Upon a Deadpool is sure to bring is the news that Twentieth Century Fox Home Entertainment will be donating $1 from every U.S. Blu-ray purchase or digital buy or rent from Jan. 1 through Jan. 28 to Fudge Cancer. 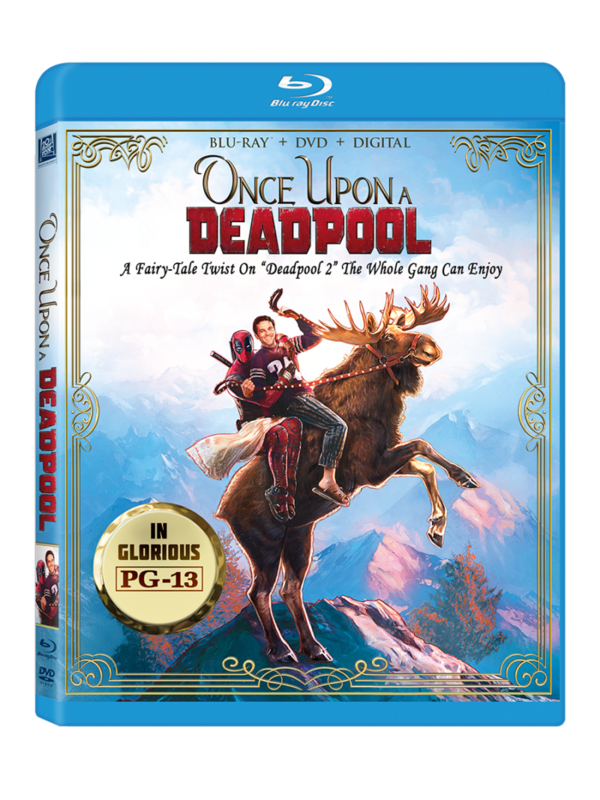 Once Upon a Deadpool will be available on Digital with Movies Anywhere, as well as on Blu-ray Jan. 15. ‘A Wrinkle in Time’ Trailer Released! Previous story Preorder Louden Swain’s “Here Come The Snakes”!